Glass skin is a Korean routine to get clear, luminous, pore less, transparent, flawless skin, now there’s a whole new level of skincare products taking market by storm, but did you consider them buying, or even are they worth buying, because on the name of glass skin beauty brand are creating a big hole in consumers pockets, on the other hand some of them use whole lot of chemicals. Then how one can achieve radiant glass skin? Definitely by Aegte 24k gold glass skin. Glassy, skin can be achieved when skin is well hydrated and without inflammation and free radical damage. 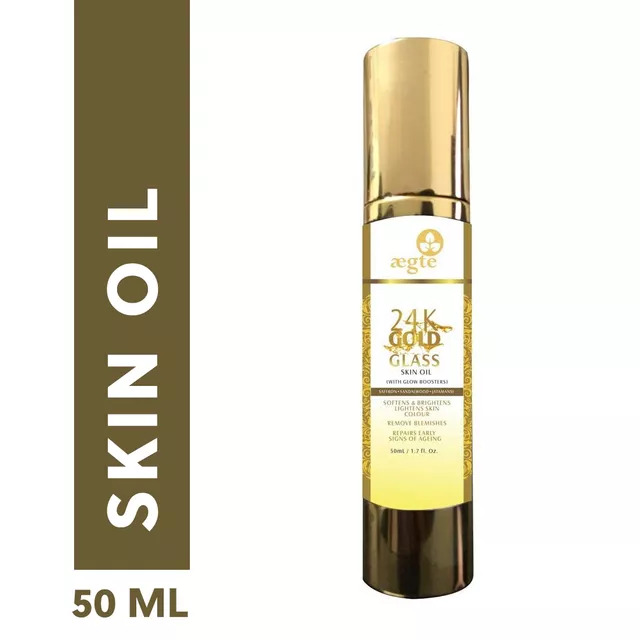 Aegte 24 k gold glass skin oil is intended to give you clear glow, it moisturizes skin and make it hydrated gives you illuminating transparent skin just like mirror. 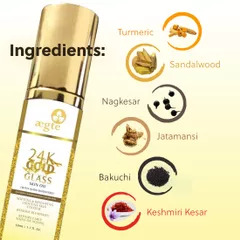 Nagkesar extract: Nagkesar have antibacterial properties, it heals skin from infections, heals wound, Hydrate skin, it protects skin form acne and blemishes. 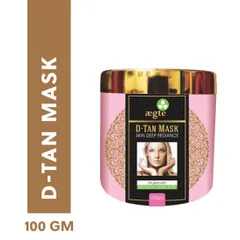 Nagkesar revitalize, refresh and refine skin. Daruhaldi Extract: Daruhaldi is one of the oldest remedies to cure wounds and infection. 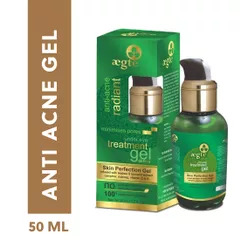 Its antiseptic properties heal infection and nourish skin. Turmeric extract: Turmeric is age old remedy for skin & health care. Turmeric has potent antiseptic properties which heal wounds, cure infection. Its anti-inflammatory properties fill pores and reduce scars and marks. Turmeric also lighten skin color and prevent discoloration of skin result in even tone of skin. Jatamansi extract: Jatamansi produce collagen and elastin fiber ang give elasticity to skin. 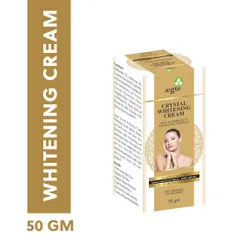 It reduces wrinkles and also consider best for skin lightening. It is rich antioxidant. Bakuchi extract: Bakuchi is detoxifying agent and remove toxic layer from skin, it rejuvenates skin and bring healthy skin by distributing melanin in the skin. Manjistha extract: It is rich source of antioxidant, anti-inflammatory and anti-microbial content. It cures acne, allergies, infection and other skin related issues. 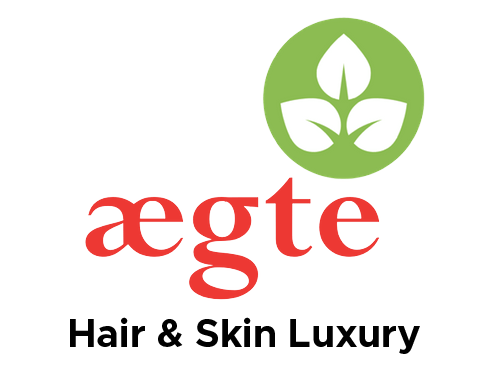 Kashmiri Kesar extract: Kesar or saffron has many skin benefits, it not only adds flavor in food, but also add beauty, it offers radiant skin, lighten skin tone and make skin even, it helps treat acne and blemishes. Kesar induce luminous complexion, it also improves skin texture, treat dry and damaged skin, it also heals wounds and scars. Vitamin E: Vitamin E reduce scars, heal marks, it helps nourish skin. It is treated as antioxidant, it could help soften skin. Sesame oil: It is antibacterial and anti-inflammatory oil, it is also rich in copper, manganese, calcium and magnesium. 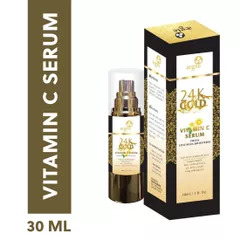 The oil is rich in anti-oxidants hence, it is easily absorbed by the skin. It deeply nourishes the skin and soften skin. How to apply: Apply 2-3 drops in the night after cleansing your skin and message until it absorbs and leave it overnight, wash your face in the morning. Precautions: Avoid direct eye contact, product is for external use only, in case of itching stop using the product, if irritation persists consult doctor. Delivery instructions: Due to heavy booking delivery might affect and take 7-10 days, your patience is our strength.